Fruitless Pursuits: The Book Was Better Episode 129: Batman (with guest host Lizzy Unpronounceable)! 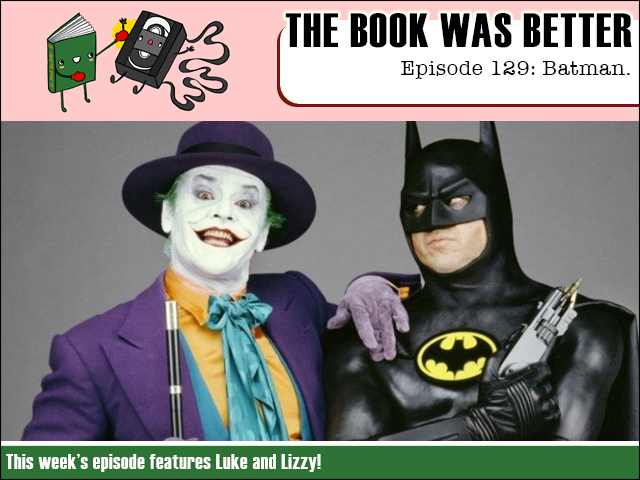 The Book Was Better Episode 129: Batman (with guest host Lizzy Unpronounceable)! This week is a big one as we read the novelization of Tim Burton's unforgettable 1989 Batman! And sharing the love is the equally unforgettable Lizzy Unpronounceable! Find out about all those missing scenes, weird early dialogue, and we even talk about Prince's sexiest lyrics. This one is unmissable!